On Wednesday 8th & Thursday 9th July Suntory Whisky is opening a Hibiki Japanese Harmony Bar at the Soho Revue in Greek Street, Soho. A £24 ticket allows you into the sensory experience for two and a half hours, in which time you'll learn a lot about Japanese traditions, and be able to drink from a range of cocktails including Hibiki Cherry Blossom. "This July, the House of Suntory Whisky launches the Hibiki Japanese Harmony Bar, showcasing the newest expression of the Suntory family, Hibiki Japanese Harmony, at Soho Revue, London. On the 8th and 9th of July, Londoners are invited to escape the chaos of the city and immerse themselves in Japanese tradition, as they experience the rich heritage and craftsmanship of Hibiki Japanese Harmony. Guests will be taken on a journey beginning in the Harmony Lounge and culminating in the Harmony Bar, with a world first sensory experience. The Harmony Lounge is a traditional Japanese space, serving a range of seasonally inspired Hibiki cocktails, including the Hibiki Cherry Blossom, which features a carved ice ball. Whilst enjoying their first taste of Hibiki Harmony and unwinding to music from a Japanese DJ, guests will be offered traditional washi paper on which they can write a wish to hang on the Tanabata tree. The Zen waiting area will allow guests to relax and refresh, completely switching off from the outside world before they enter the Hibiki Japanese Harmony Bar. The first of its kind worldwide, this fully immersive interactive experience envelops guests as they journey through the richness of the Japanese seasons whilst illustrating how the delicate changes in the seasons influence the maturation and taste of Suntory's Hibiki Japanese Harmony whisky. 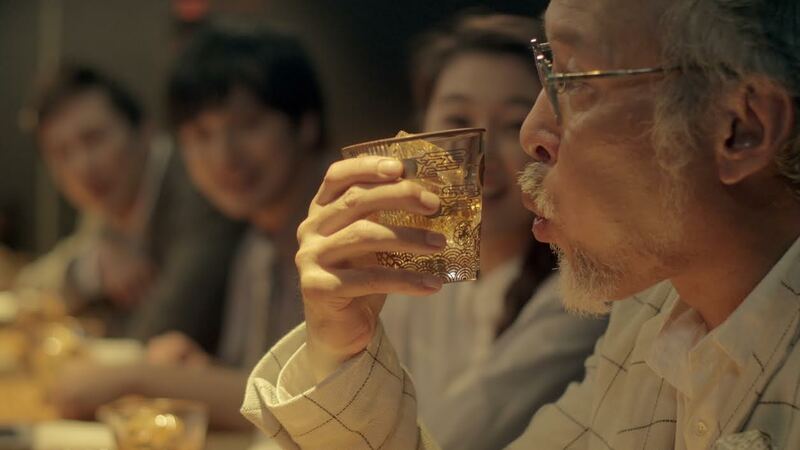 Hibiki Japanese Harmony encapsulates the harmony that exists between Japanese nature and people. Inspired by the riches and subtleties of Japan’s 24 seasons and mastered by Suntory’s Art of Blending, Hibiki Japanese Harmony is a meticulous blend of the finest select whiskies from the House of Suntory Whisky. It is a symphony of at least 10 malt and grain whiskies, aged in five different types of casks, from Suntory’s Yamazaki, Hakushu and Chita distilleries. This delicate blend creates a oneness unfolding a full orchestra of flavours and aromas."